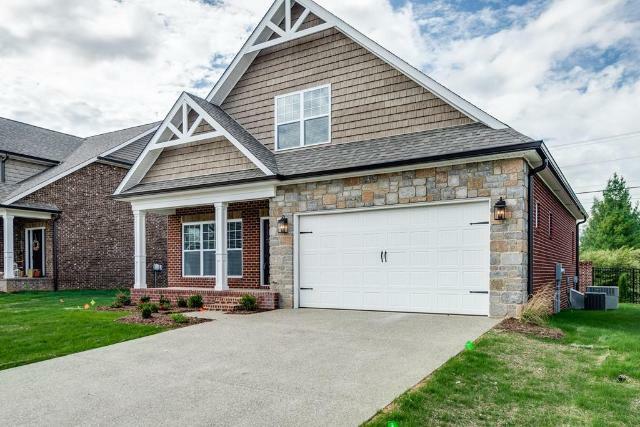 Trendy new construction home south Cookeville City limits. Stone accents with Hardie Board siding catches the eye. The open floor plan makes entertaining fun again. Easy flow kitchen with island, stainless steel appliances, granite countertops, main level master bedroom with walk in closet. Master bath double vanity sink and walk in shower. Upstairs 2 additional bedrooms, full bath, and loft open room perfect for office and/or game room. Small lots with HOA including lawn care. Aggregate open patio. Now are you ready to enjoy the good life in a Cross Pointe home? 1 year HOA Dues paid with acceptable offer.